The following statement has been produced by the committee to be included in the Project Options display currently on view in the Carnegie. Please note that there will be a special general meeting for Wednesday 19 November at 6.00 for 6.30. This meeting is open to Friends members although non-members can attend if they join on the night. The Project Group and architects will present the options from 6.30, followed by Q&A. They will then depart at 7.30, and we shall have a further hour for discussion. Please make every effort to attend. "Though the committee is unable at this stage to speak for our full membership on specific details, we cannot support any of the proposed options as they stand. Only the one which retains the library in its central position is a possible starting point for discussion; but it is highly problematic and would need a lot of work and comprehensive rethinking before it could be seriously considered. The other options are completely unacceptable in all respects. In particular, they would confine the library to a smaller, unsuitable space and begin the creeping closure of our library. The Friends were represented on the Project Group, and the original options appraisal brief echoed our wish to open up the library for wider community use, with the library remaining central and any activities or hire linking with and supporting the core function of the library. Members meeting on 30 July were dissatisfied that the options appraisal is based largely on spatial considerations, with no reference to demand and supply in the area; they also found the financial appraisal incomplete on several grounds. Questions asked by the Friends and the responses received are on our website. In any reconfiguration to accommodate further uses there should be maximum flexibility with minimum intervention. We are not satisfied that any of the proposed options fulfil this requirement. More detail is needed on the impact on our listed building. There is also an apparent lack of integration or cohesiveness as different elements: Library, Trust, rentable spaces are shown as completely separate and mutually exclusive. 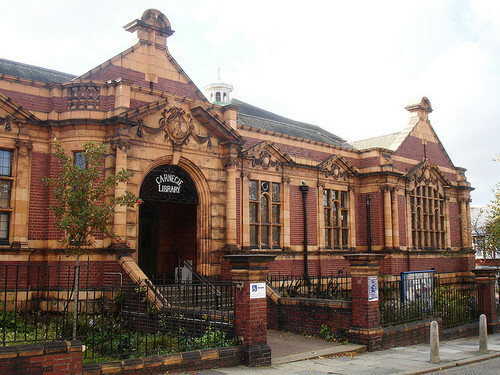 Since 1999 we have worked to revitalise Carnegie Library and raise its profile, led a vigorous campaign to prevent closure and ensure its continued use. We have always insisted there be no marginalisation or diminishing of the library service. Monthly statistics consistently show increases in visits and loans. With the advent of WiFi, the Teen Zone, groups like Book at Breakfast and Ruskin Readers, demand for study tables is rising. It is essential there is sufficient space for these and other activities, and the stock of books and other material is maintained. The Friends work cooperatively with library staff and management to facilitate and support events and activities, publicise and promote the library and all it has to offer. We will continue working to develop a proposal which will retain and enhance the library. This will include flexibility to accommodate out of hours hire as well as appropriate, compatible community and commercial uses throughout the building."